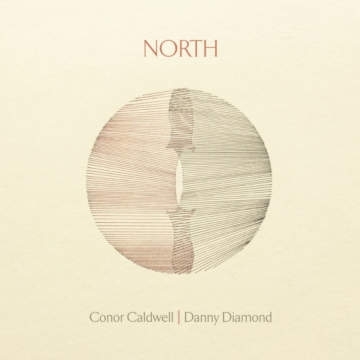 North is an ongoing collaboration between Belfast-born fiddle players Danny Diamond & Conor Caldwell, exploring and re-creating their shared heritage of northern music and song. Their debut duo album, North (2016) was released to critical and popular acclaim, and nominated for Traditional Album of The Year in The Irish Times. One of the leading Irish traditional musicians, Danny Diamond is a performer, composer, archivist and sound engineer, Danny has contributed on multiple fronts to the revitalisation and reimagining of Irish music and song. Drawing on his family's deep, cross-community cultural lineage in the north of Ireland, along with influences from other traditions across the north Atlantic, his fiddle playing is a unique and powerful voice in Irish music. Traditional fiddler and composer Conor Caldwell is from Belfast. His music takes a contemporary approach whilst remaining reflective of his roots in the Donegal and Northern fiddle tradition. Exploring the capabilities of the fiddle and through the use of electronics he creates music that is spacious with harmonies and accompaniment sympathetic to the old and original tunes he plays. Work is currently underway on a second recording with a new expanded line-up, for a summer 2019 release.